If someone asked me, “What is one topic every student you have needs to work on?” the answer would be logic. It’s needed for all reasoning skills from critical thinking to educated guessing. 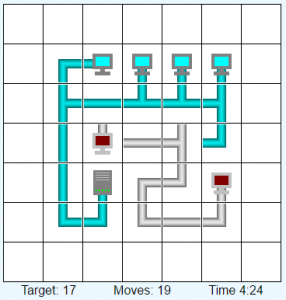 One of the best ways to develop logic skills is to play logic games and logic puzzles, and now, a variety of puzzles are available online for free. 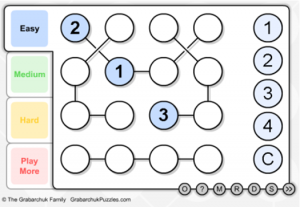 Sudoku is probably the first math puzzle you thought of when you read “logic puzzles.” It’s become wildly popular, and you can find buy books of it as well as free puzzles online. Just one problem: although it’s often called a math logic puzzle, the numbers could easily be letters or symbols – it’s all about process of elimination, not math process or numerical values. But don’t worry! It still helps build logic skills! 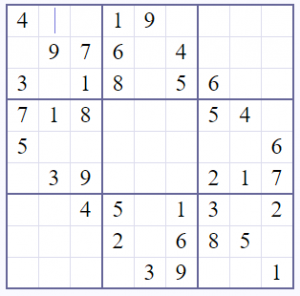 For those who like Sudoku, Strimko offers variation on the same idea. Instead of a grid, the options are laid out in chains. Each chain, column, and row can still have only 1 of each letter, but the chains can interweave, giving the idea a nicely challenging twist. The directions provided for it are not as good as I would like, but it is nice to have the choice of difficulty level. Kids can also check the solution to clarify how to play (but if they follow my directions above, they should be fine). In Hashi, players have to build bridges to connect all the numbers together (no number should be isolated). Kids can build single bridges or double bridges, and the bridges can only go vertically or horizontally. They can’t go diagonally or cross each other. The real challenge, however, starts with the numbers. You see, this time, the numbers matter. Each number indicates how many connections that circle has to have. Once a number has its max connections, an x will appear through it. All the numbers need to be crossed out in order to win, which requires strategy. Prepare to think with this one! But don’t worry – this website provides varying levels of difficulty, so players can warm up before tackling the hard ones. Nurikabe also has numbers that matter. 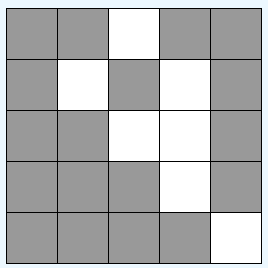 In this case, the numbers indicate how many white squares connect to make an “island.” At the same time, the islands must not connect to each other, and the black squares can never make a 2-by-2 shape. This is another good planning and strategy game, and like Sudoku, expanding the size expands the difficulty level. 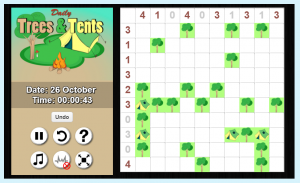 Although definitely more visual than most of the logic puzzles talked about so far, Trees & Tents does rely heavily on numbers. First off, each tree has to have 1 tent by it. Second, each row and column indicates how many tents are in it. Finding the right layout requires strategic thinking and paying close attention to the numbers on the columns and rows. This one lets kids choose the difficulty level and the size of the grid, so they can make it as hard or easy as they like. In Secret Number, players get a list of clues – all the clues they need to guess the missing number. The clues contain mathematical terms like “product” and “sum,” which provides good practice for word problems, and using the clues requires the process of elimination, which is one of the main logic skills that students need. Students could even make it competitive by taking turns guessing. If you’ve ever played Mahjong, Bejeweled, or any other match-and-eliminate game, then you know that success (and high scores) requires strategy and a keen eye. TenPair combines that strategy requirement with arithmetic. 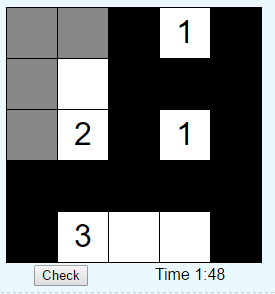 Instead of matching jewels or images on tiles, in this game, players match pairs of numbers that add to make 10 (like 2 and 8) or duplicate numbers (like 1 and 1). Pairs can only be eliminates when there are no other numbers between them vertically or horizontally (no diagonals). Also, the farthest right number of any row is considered next to the farthest left number of any row (in the example above, the highlighted 4 could eliminate with the 6 on the bottom row – if the 5 weren’t there…). Each game begins with a 3-by-9 grid as shown above, but it doesn’t stay that way for long. Once a player runs out of moves on this board and clicks “deal,” more rows appear below it. Eliminating all the numbers is a serious challenge that could keep kids occupied (and learning) for hours. 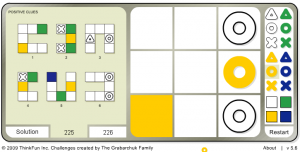 Logic Grid Puzzles have been my personal favorite logic puzzle since childhood (which might be why I’ve given you 3 different links of resources). Each Logic Grid Puzzle provides a story that is solved through filling out the chart and using the process of elimination. They’re basically word problems solved with logic (no math). That means that even while students are developing logic skills, they are also practicing skills needed for word problems and reading comprehension. 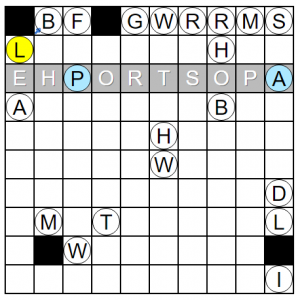 Like the name implies, this logic puzzle is a traditional word search reversed: instead of finding words and crossing them out or circling them, the goal is to find where the words fit and fill them in. You might even consider it a mix between a crossword puzzle and a word search only instead of clues, there’s a word bank. Also, words can still go forwards, backwards, diagonally, or vertically. That makes it good brain exercise and can help students practice spelling, too. Cryptograms are encrypted messages that are decrypted through process of elimination and knowledge of the English language. For example, there are only so many 3-letter words that end with the same two letters (bee, see, too, all, etc.). That lets you narrow down the doubled letter, and looking at how that letter is used in other words in the message can help you make an educated guess. A large vocabulary, knowledge of prefixes and suffixes, and an understanding of common letter combos go a long way to improving strategies. 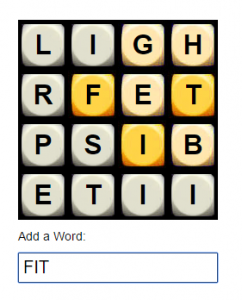 Similar to Boggle but with slightly different rules, Word Twist challenges players to find the most words from the given letters in the least amount of time. Different scores are given by the length of the words and how commonly each word is found. It’s a good game to practice visualizing words and honing spelling. Speed is a factor, and the competition is fierce! Like TenPair, Magnets is another match-and-eliminate puzzle. In this one, the goal is to get 3 of the same color together so that they’ll disappear. There’s 1 big complication: the colored pieces are magnets. That means that they are polarized – they can only join together at certain points. So if you can’t turn them so that N and S are together, they won’t disappear. Combined with the shapes of the magnets, this lends a level of difficulty beyond regular match-and-eliminate games, requiring additional strategies and applying natural sciences, as well. Lights Out reminds me of rubik’s cubes – once the child gets the trick, it’s all about seeing how fast he or she can do it. Until then, however, the challenge of figuring it out can definitely take some thinking. Not bad for a game where all you have to do is click on squares! Who knew there were games about network administration? 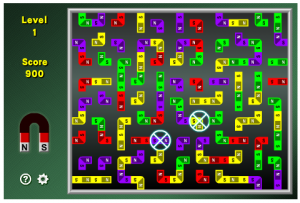 In Netwalk, the goal is to rotate the tiles to connect the server to each computer and leave no loose ends. And I’m assuming the admin is paid hourly because the secondary goal is to do it in as few steps as possible. It’s a good way to practice problem solving and strategy. It has three levels: Beginner, Medium, and Expert. By and far my favorite of these visual logic puzzles (despite its less-than-stellar instructions), GridWorks combines colors and shapes in a challenging process-of-elimination game. The 3-by-3 game board is supposed to be filled with each of the colored shapes (x, o, and triangle in yellow, blue, and green). To find out where each of the 9 tokens goes, you have to combine a series of clues – much like the logic grid puzzles only now the clues are all visual rather than in words. A colored square indicates only what color the shape in that space should be. A white shape indicates only what kind of shape should go in that space. The corresponding tools (colored squares and white shapes) can be used to track those clues, or you can track it in your head and place a colored shape directly. More complex clues can involve what isn’t in that space or even geometric transformations (like rotations and reflections). Students who excel at this will have a big advantage at critical thinking and problem solving! Well, that’s the last logic puzzle for this list. With 15 different puzzles to choose from with different emphasis and styles, students in late elementary onwards can mix and match puzzle games so that they can keep learning without getting bored. Younger kids may not be ready for some of the more advanced logic puzzles, but games like Netwalk, Lights Out, and Nurikabe may suit them just fine. Did we miss any? 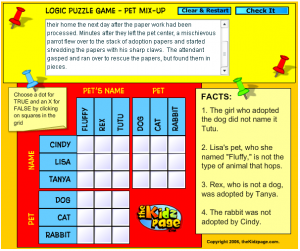 What logic puzzles do your kids like?